The inspiration from this piece came from a photographer friend's shot of the sunset in Florida. I did this as a gift for her. I loved the way the pelican looks with his silouette on the dock frame, almost in a quiet contemplation of the day's events. 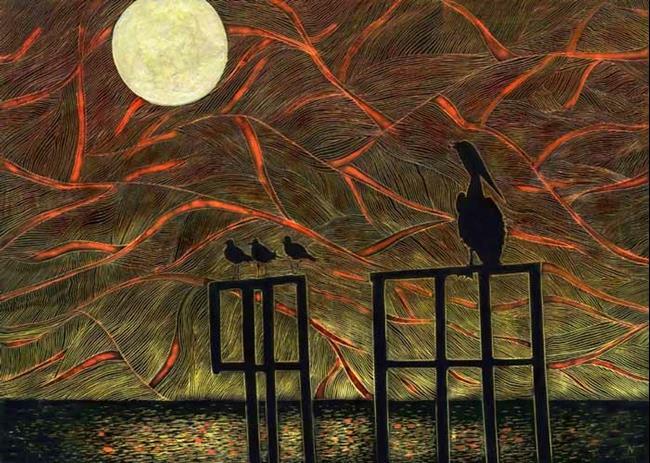 The bronze colors in the sky come from metallic lustre paint on the scratchboard.